King George's Playing Field ParkKing George's Playing Field in Rollesby near Great Yarmouth, a large playing field with children's play area and pavilion. King George's Playing Field in Rollesby near Great Yarmouth, a large playing field with children's play area and pavilion. Take the A149 out of Great Yarmouth signposted for Potter Heigham. Follow the straight road until you pass through the village of Rollesby. 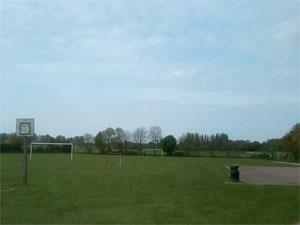 King George's Playing Field is located on the right hand side of the main road.